Renting a tent is a fairly easy process. 1. Figure out the space available to set up your tent. let us know the type surface , concrete, sand or grass. 3.Send us a email or call us and we will provide an estimate with your tent rental price. keep in mind we do rent chairs and tables, linens and lighting is so much easier to order everything from one place than to have different vendors. 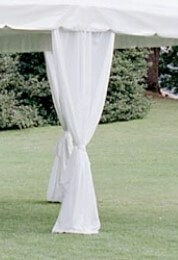 Renting a tent its crucial part of planning a party, wedding, or Festival. adequate space and protection from weather elements are very important considerations. 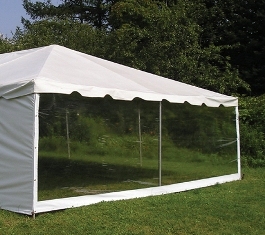 With an outdoor tent, you can accommodate any number of guests who will have plenty of room to move and seat comfortably. Why rent a Tent From Fiestas Solutions Party Rental? 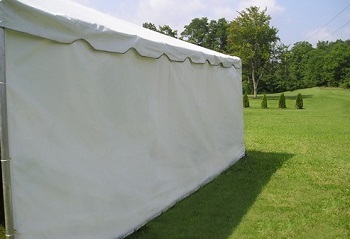 The Quality of our tent Rentals as well as how we take care of the tent top. Set us apart from other rental companies. 90% of our tents are frame tents which give you the availability to set the tent in any surface : concrete, pavers virtually anywhere. In addition We use the latest Tents on the market which are made out of aluminum which brings labors cost down and you will not have a tent full of rust and dirt for your event. 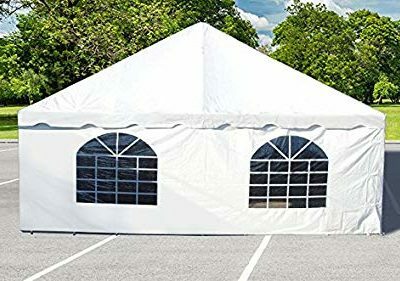 We constantly add tents to our inventory every year and not only that but Our tents are manufactured with the highest grade vinyl 16oz blackout and engineered to withstand the greatest wind loads possible. We clean our tents regularly to make sure you are getting a beautiful tent rental, and remember a tent is not just a tent there are different qualities and we strive for the best! Delivery and Labor may apply depending on location of set up. This chart is for seating alone, a larger size tent is required to allow room for Buffet Tables, Bars, Dance Area, & Head Tables.